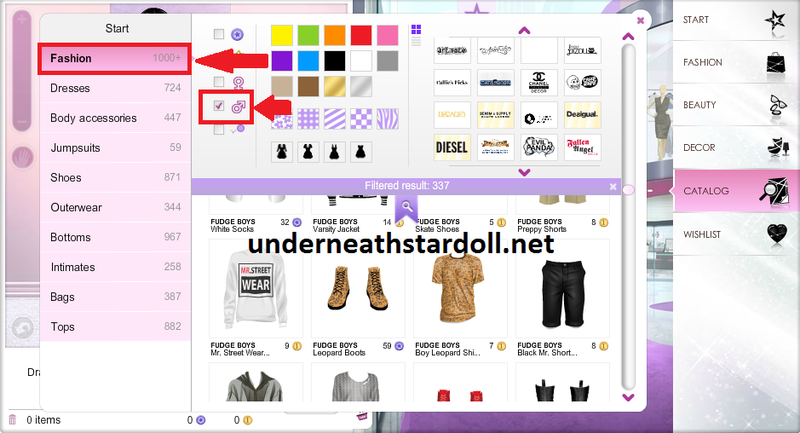 STARDOLL FREE | Underneath Stardoll Blog: Good news for male dolls! If you go to catalog and select FASHION and MALE clothes, you will see that some of the "old" clothes are available to be buying!! Some of these items were being sold at Starbazaar for high prices, so if you have a male doll and want to get the clothes for the original prices this is your chance!! We don't know if this is a glitch or if Stardoll resolved to rerelease these items even if they didn't announce it, so if I were you, I would get the items quickly as we don't know if Stardoll will fix this or not, right?